The Kids Lapita Low CPX Shoe from Vaude are waterproof hiking shoes for children who thrive outdoors no matter what the weather is like. 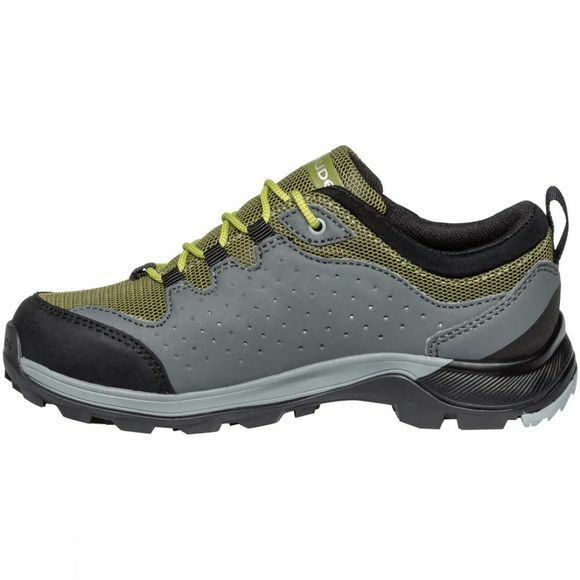 This comfortable half-shoe is the perfect choice to accompany them through forests, on playgrounds or over easy mountain trails. The high-quality, durable leather upper ensures a perfect fit and support. 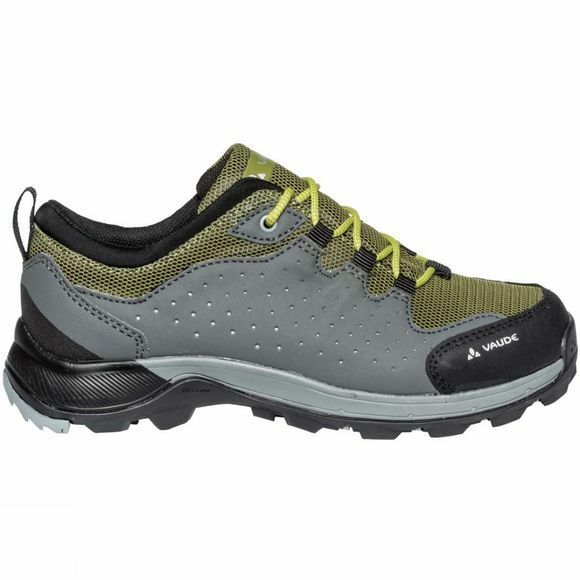 Thanks to the environmentally friendly Sympatex membrane, the shoe is absolutely waterproof and breathable. The grippy sole is designed to fit a child's foot and offer perfect stability. Reflective elements are added as well for greater visibility and safety in low light conditions. Good to know: the waterproof Sympatex membrane is made of 100% recycled material and is absolutely PFC-free. The high quality Terracare leather comes from Germany and is manufactured in accordance with highest environmental standards.